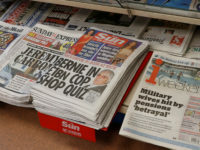 The Commons culture committee investigating phone-hacking at the News of the World is expected tofind former News of the World editor Colin Myler, legal chief for the paper Tom Crone and former executive Les Hinton all guilty of misleading the Parliament, according to reports. Murdoch is, however, likely to be ‘heavily criticised on his management style and wider corporate issues”, she added, while the committee is also expected to have ‘strong words to say’about his father, News Corp chairman Rupert Murdoch. News International’s The Times reports the committee will find Murdoch ‘should have tried harder to investigate allegations against his staff’and that he failed to ask key questions over the authorisation of the phone-hacking settlement of £425,000 with PFA chief executive Gordon Taylor. 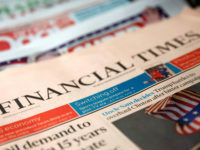 The Times said Myler, Crone and Hinton ‘are likely to be criticised over evidence in 2009 suggesting that Mr Goodman had been a ‘rogue reporter'”. The committee is expected to be more restrained when it comes to criticising those involved in the affair who have already been arrested by police, after being advised Attorney General Dominic Grieve that it could prejudice possible criminal trials. The committee’s is report is set to be made public at 11.30am today.